and local sexual discourse and a more visible LGBTQ activism. Palestinian occupied territories. Since 2008, Haneen has been the director of alQaws. Divestment and Sanctions against Israel . 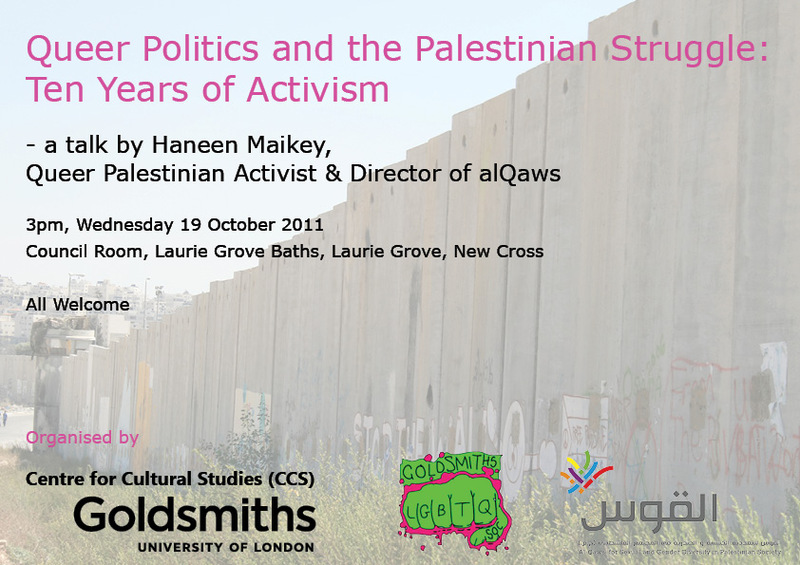 barriers in Palestinian society [www.alqaws.org].